A counter-height custom cabinet combines ample storage in drawers and behind doors with a wide surface just right for folding and sorting. 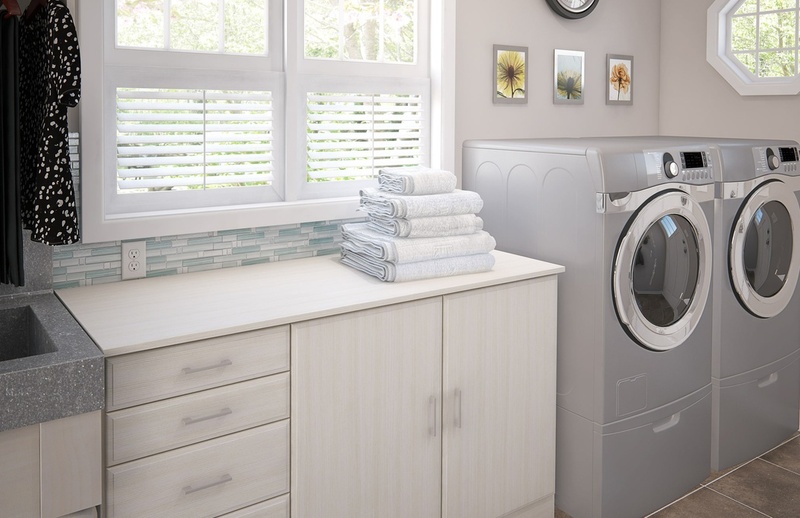 Drawers open wide on full-extension glides, making it easy to find or stow items in your laundry room. An appealing Desert color and Modern Rectangle handles in a Matte Nickel finish elevate the look.